Happy Thursday everyone!!! I pray all is well with everyone as we head into the weekend and celebrate Resurrection Sunday! That's the greatest news of all. He got up! Well...I wanted to share a little small piece of news as well as updates with everyone. I know it doesn't compare but I wanted to share. I will be published in the June edition of Gingerstreet magazine. I'm excited as this is the first time for me. Also, I'm still the Guest Designer over at Stamp-by-Step. I love her store and her prices are phenomenal. Be sure to stop over and tell her I sent you. I'm also stepping down from Cooking with Cricut and will tears. BUT...I'm stepping up to her new digi design team over at PaperCraftingWorld. I'm so excited. Melin is so delightful and special. At the end of this month, I will be in the Fruit of the Spirit Faith Blog Hop. 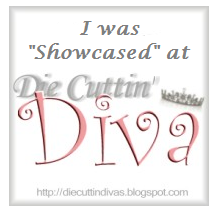 I'd love if you'd stop back by to see all the wonderful inspiration. If you'd be interested in joining us once a month, let me know and I'll pass your name along to Nana. Well that's all for today. Check back around 9 am EST for a special Resurrection Surprise.